Live, shop and dine on the new Block 11. More details coming soon. 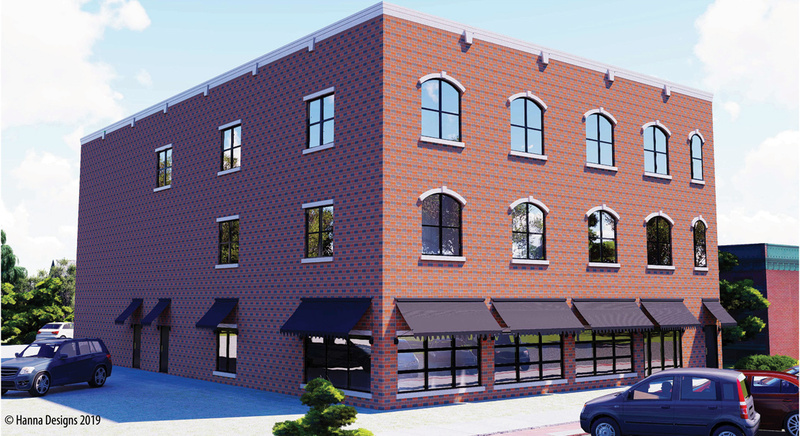 In March 2019, the Oswego Village Board approved a redevelopment agreement to bring a mixed-use development of new restaurant and office space to the site of the former Village Hall, 113 Main Street, in downtown Oswego. The agreement with Yorkville-based developer Imperial Investments paves the way for a three-story brick building that is expected to house at least one sit-down restaurant and two floors of office space. Imperial Investments is the team behind for the development that houses the very popular Crusade Burger Bar, Belladonna, and Living Divina Yoga in Yorkville. The Oswego development will round out the development planned for the former Village Hall block, which when finished will also include a Mexican restaurant along Washington Street and a complete reimagining of the streetscape featuring a pedestrian thoroughfare. As part of the agreement, the Village will transfer the property to the developer for $10, and the Village will be reimbursed for the cost of the property through TIF revenue. All other private development costs will be paid for by the developer. The Village will fund all the public improvements related to the development, including a new public parking lot, the complete reconstruction of Adams Street, redesign of the alley to make it an inviting pedestrian-friendly promenade, and infrastructure improvements including electric line relocation and water and sewer replacement. The cost of public improvements is expected to be repaid to the Village through TIF revenue and sales taxes, and the improvements will benefit other properties on the block and support future redevelopment. Construction on the block is expected to begin this summer with an opening planned for 2020.